You will find on this Web Page, and those of other dealers, each coin designated by a grade. Also catalogs use grades to indicate the amount of wear on a coin. It is important for every collector to know that grading, while having some important objective elements, is an art and not a science. Grading Mint State (uncirculated) coins has grown into a very complicated and often controversial area. One also needs to know that grading standards have changed over time, and what some collectors thought would be Extra Fine in 1900, might not grade at that level today. Even in recent decades grading standards have change. Further, with the advent of grading services (slabs) there still has not been established a scientific and uniform grading system, in which all graders, including those with decades of experience, will agree on the grade for a given coin. A grade is therefore an opinion given by someone about the quality of a coin, and on that opinion one can find others that disagree. Remember also that a collector should buy the coin and not the "slab." Often a coin given a certain grade by a grading service, will not be as attractive as another coin at a lower grade level. Variances in the quality of grading exists just as they do among coins themselves. Note also that each side of the coin may have a different grade. Many dealers average the two grades as "VF-XF", others will designate "split grades" as VF/XF with the first grad being the obverse. Some graders and collectors also "net down" a coin that has defects to the grade level that it will trade in the marketplace. Again this is all opinion not hard fact or agreed by all. Experience will help the new collector learn over time how to grade coins with a fair amount of correctness. It does help to have a moderate power magnifying glass to help you grade coins and a good light. Don't be afraid! There has evolved a numerical grading system that goes from 1 to 70 into which all of the grades given below fit. A "1" for example would represent essentially a completely smooth surface without any signs of the design at all, while at "60" represents a coin without any wear. Coins International uses the ANA Grading standards in evaluating its own un-slabed coins. Our grades are based upon those standards and our own experience of over 40 years as professional dealers in numismatics. Remember that if you see a coin that normally sells for $10.00 in Very Fine and is being sold in that grade for just $5.00 by someone, it is likely that the two grades are in fact not identical. You often get what you paid for is the phrase frequently heard. Bargains are few with coins that are highly sought by collectors. Sometimes what you buy at a very low price, as in other fields, is not worth even its "bargain" price. We do stand by our grading and all our collector coins are fully returnable if you are not satisfied after 10 days. We will often give added information about the condition of the coins on our web page to provide further help to the buyer. The grades provided by the coins we sell in slabs are the opinions of the experts that have graded that coin. A collector can at least have the assurance with a slab that three professional graders have looked at the coin and the consensus is at that grade level. Note, however, that it is possible, even likely, that one or more of the graders gave a grade that was either higher or lover than the one finally agreed upon. This is the lowest grade, often referred to as a "filler" meaning that it is so worn that it is not acceptable for a collection, but kept until an acceptable coin is found. This is rarely sold except among the rarest coins. It has only enough of the original design left to make the coin identifiable. It is often almost worn smooth. Heavily warn with main features clear and bold although rather flat. Moderate to considerable wear. Entire design is bold with overall pleasing appearance. Moderate wear on high points of design. All major details are clear. VF+ (VF-30) will show light even wear on surfaces and highest points of design with all lettering and major features sharp. Design is lightly worn throughout, but all features are sharp and well defined. Traces of luster may show. EF+ (EF-45) Light overall wear on many of the high points. At least half of the mint luster is still present. Evidence of light wear on on many of the high points. All design details are very sharp, with some mint luster showing. AU+ (AU-55) Barest evidence of light wear on only the highest points of the design. Most of mint luster remains. This grade simply represents a coin that has not seen circulation and has no evidence of normal circulated wear. It has no trace of wear but may show contact marks, and surface may be spotted or lack some luster. It may have "bag marks" which come from normal movement among other coins at the mint and in transportation, etc. Within the Uncirculated grade which is also often referred to as Brilliant Uncirculated, there are a number of levels which are represented by the letters "MS" for Mint State. Mint State starts at MS-60 and goes up to MS-70 for a "perfect coin" which often in reality does not truly exist. MS-63 considered "Choice Unc. 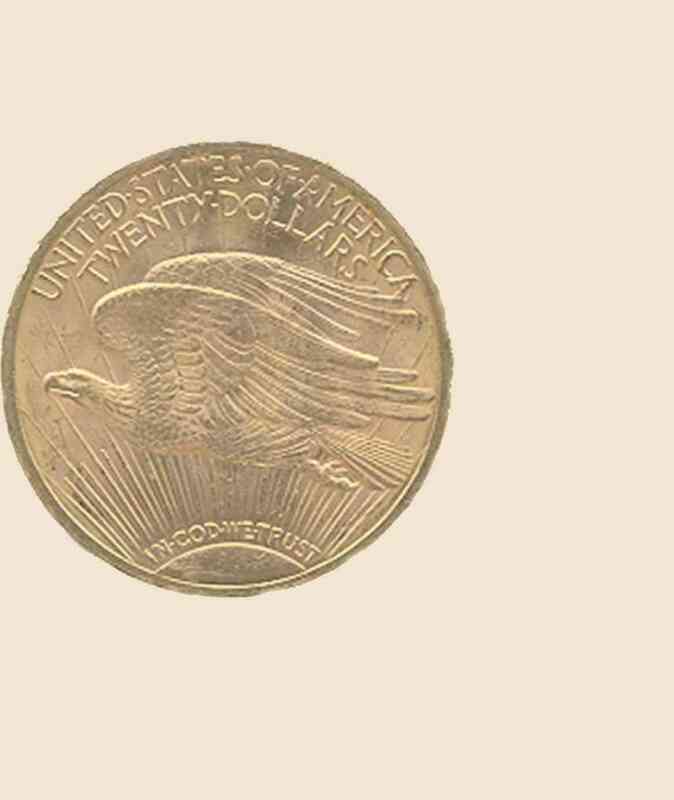 or Choice Brilliant Uncirculated" Well above average uncirculated coin for its type and date. MS-65 "Gem uncirculated or Gem B.U." This is a very high grade gem, very well above average, but can be brilliant or lightly toned and has very few contact marks on the key surfaces or rim. Other grades below or above the grades given are a little better or worse. A specially made coin distinguished often by a brilliant mirror-like surface. The coin will have a high degree of sharpness. "Proof" referees to the method of manufacture and is not a condition, often the term implies perfect mint state unless otherwise noted and graded below. There are some matte proofs which are dull and made by a somewhat different method than polishing the die. Proofs are graded in uncirculated grade from PF-60 to PF-70 (see Mint State grading).